Axe the Act - Housing Summit Pledges Action! 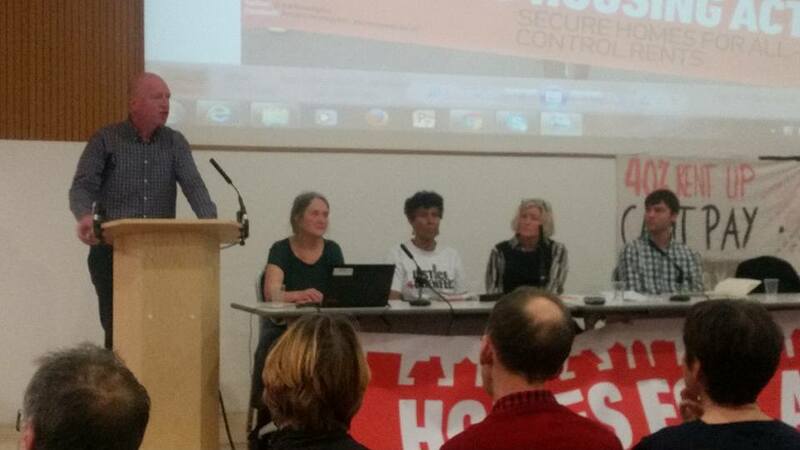 The second Axe the Act (AtA) Housing Summit took place on the 25th November attended by around 150 activists from housing campaign groups, housing organisations, trade unions, and other labour movement organisations. The meeting opened with speeches from Eileen Short, one of the AtA organisers, housing campaigners from Southwark and Poplar, a Grenfell speaker, and Matt Wrack, the General Secretary of the Fire Brigade Union. Matt Wrack, General Secretary of the Fire Brigade Union talked of the trauma his members endured when attending the Grenfell fire, and the lack of equipment and personnel which hampers the Brigade's ability to attend fire block incidents. The unnecessary deaths in the Grenfell tower and subsequent devestating impact on the local community was a theme throughout the day. Nonetheless, the sense was of communities across London fighting back against the might of councils, developers and housing associations that sought to steal their homes and scatter their communities. It was clear that campaign groups had stepped up their level of organising and campaigning over the previous year. Some particular successes were noted. This included the deselection of Labour councillors who had supported the Haringey Development Vehicle's plans for social cleansing despite the opposition of local residents. It sends a warning to councils across the country that they ignore their constituents' demands at their peril. Sadiq Khan's failure to use his position as Mayor of London to improve protections for private and social housing residents was also strongly criticised. The success of One Housing Group tenants involved in a partial rent strike when the association planned to hike their rents by up to 40% was given a special mention. 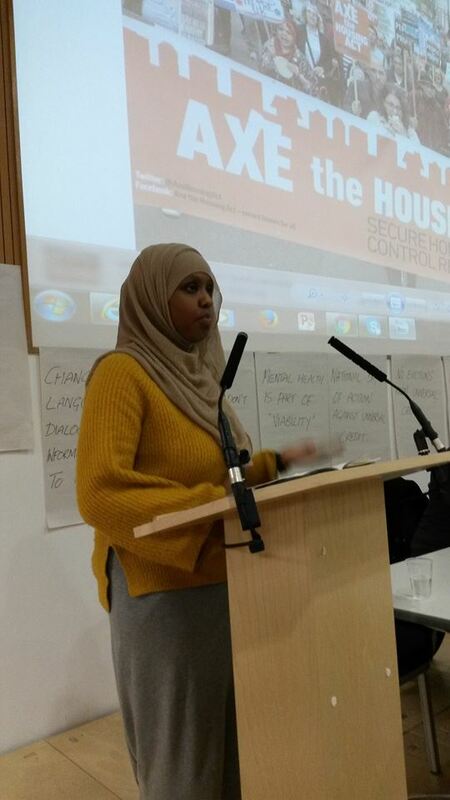 A clear message from the day was that although new campaigns were springing up across London in particular, each with its own focus, there was a need to strengthen liaison between them, and between the various housing campaign organisations to make an even stronger impact. 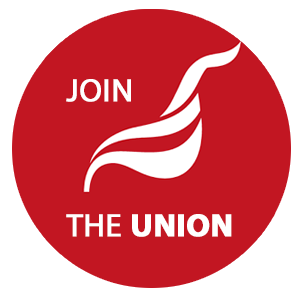 The Unite Housing Workers Branch ran a workshop on housing associations which reported on increasing commercialisation, aided and abetted by government's de-regulation of the sector. The largest and most profitable associations - Genesis, Notting Hill Housing Trust, Peabody, Catalyst and Clarion for example - have abandoned their commitment to serving communities, as they lust after ever larger profits and surpluses, and super-inflating salaries for their executives. The meeting also heard about how these same associations, despite vast surpluses, continued to treat their frontline workers with the same contempt that they treated residents. The Branch reported on the punitive sickness policies, cuts to frontline teams, lack of pay rises and unrealistic targets that are pushing our members to breaking point. This had led the Branch to set up the Housing Association Workers and Residents Network at last year's Summit, so that members of Unite and other unions could fight alongside residents for better jobs, homes and communities. Once again, it was clear that their residents were fighting back. 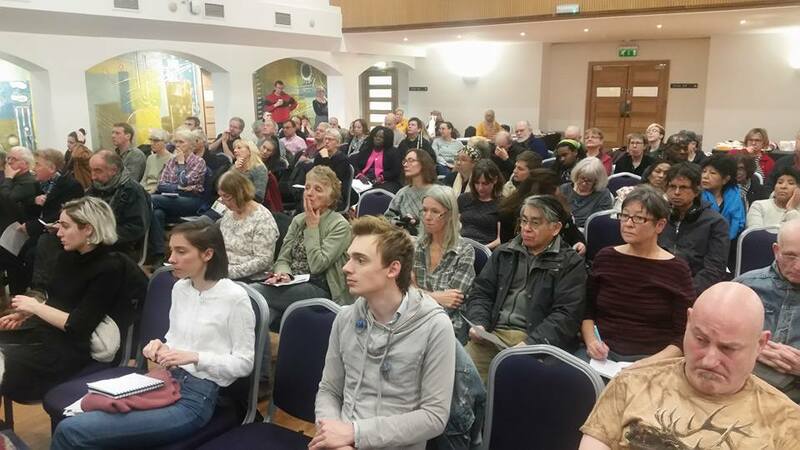 The meeting heard about the highly organised and high-profile campaign by Genesis and Notting Hill Housing Trust residents, working with the Housing Association Residents Action group to defeat the Genesis / NHHT merger, which has now stalled. The inspiring actions of the group provided a guide for others to follow. 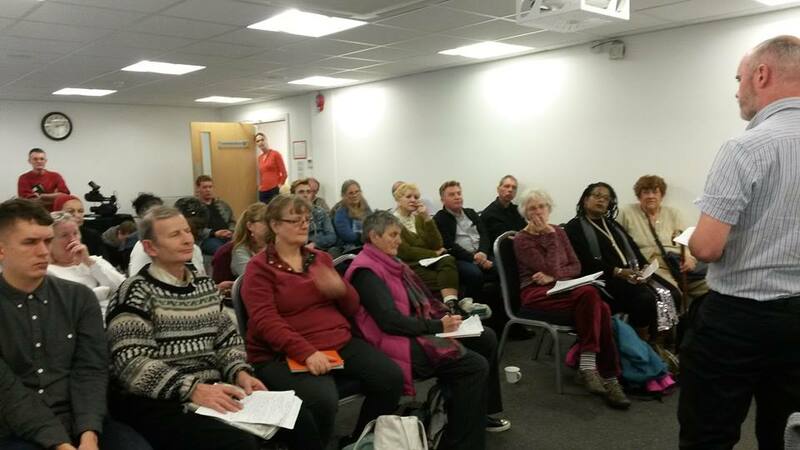 There was also discussion of the powerful and under-used rent strike tactic, and circulation of the Housing Association Workers and Residents Network guidance on organising rent strikes (available to download). 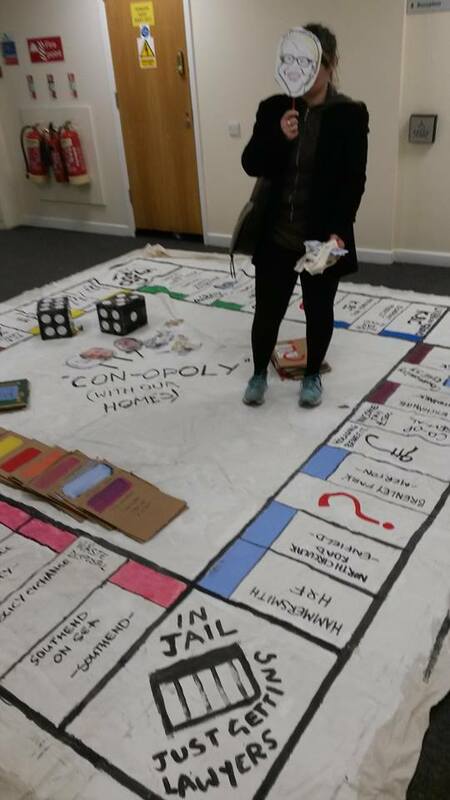 During the break, attendees enjoyed Genesis residents' giant 'Con-opoly game! The discussion concluded with agreement on a series of demands which included re-regulating the sector to protect residents and tenants, an end to Right to Buy, rent and service charge caps, the reintroduction of secure tenancies and the right to inherit, binding ballots for any regeneration schemes, an end to manage decline of estates, the return of repairs and maintenance to in-house contracts, and proper investment in maintenance and other support services. The activists all pledged to continue working together, providing support and developing joint actions over the coming year to help realise these demands, and the Branch would like to thank all attendees.